As with many other Volkswagen models, the Tiguan compact SUV falls between “regular” and “premium” offerings, as reflected in the $25,755 starting price — and standard equipment — of the base front-wheel-drive S model tested. Tiguan is the only compact SUV to come standard with a turbocharged engine, in this case a 2.0-liter four producing 200 horsepower. While Tiguan sales have been on the upswing of late, it’s still a somewhat peripheral seller in the popular compact-SUV class. Perhaps it’s because the name – pronounced “TEE-gwan,” supposedly a combination of the German form of “tiger” and “leguan” (German for “iguana”) – just doesn’t stick in Americans’ heads. Or maybe it’s that Tiguan hasn’t seen any major changes since its 2009 debut, an eternity in the compact-SUV class. Not that that’s a bad thing. Tiguan has always stood as a rather mature, upscale offering in a segment where “swoopy” and “high-tech” have been watchwords of late. Its lines are simple and stately, its controls functional and intuitive, and its interior exudes a subdued, quality feel. All very Teutonic – and very Volkswagen. Another area in which the Tiguan stands apart is in its powertrain – specifically, its engine. In a class of 15 (several former members having been “downsized” to the subcompact-SUV segment), it’s one of only five to offer a turbocharged engine, and the only one to make it standard. Like the Tiguan itself, the 2.0-liter 4-cylinder turbo has seen few changes over the years, putting out the same 200 horsepower and 207 lb. ft. of torque as it did originally. 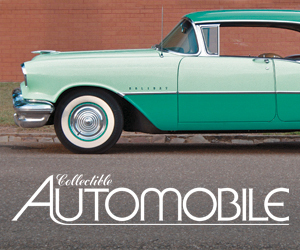 Early versions were available with a manual transmission, but the lone offering now is a conventional 6-speed automatic with either front- or all-wheel drive. And it’s this engine that may be the Tiguan’s most polarizing element. By compact-SUV standards, it’s quite powerful, which helps make up for its rather lackluster EPA numbers of 21 city/26 highway/23 combined with front-wheel drive, 20/26/23 with all-wheel drive. In normal driving, its only demerit is that is can sound a bit gruff at low speeds, though it emits a nice-sounding whine at high rpms – rather the opposite of most fours. It’s when you stomp the throttle that its “personality” may not be universally appreciated. From launch, there’s the expected turbo lag – a delay in power delivery until the boost builds – and power is perhaps a bit longer in coming than in some turbos. It also hits harder when it arrives, which is kind of the “old school” turbo power curve; most newer ones are more linear. Some drivers may like the sporting feel of this sudden slap in the back, as it’s kind of exhilarating, while others may find the power difficult to modulate, particularly in traffic. Hit the gas from a roll, and the power comes on almost instantly – and somewhat more linearly – aided by relatively quick downshifts. Also, unlike many newer turbo engines, premium-grade fuel is recommended for the Tiguan. In 202 miles of about 80 percent highway driving, we averaged 26.0 mpg in a base front-drive S, which matches the EPA “all highway” number. It looks a bit drab in photos, but the Tiguan’s interior is trimmed with nice materials. The eight circular dash vents allow air to be sent almost anywhere you want it. Tiguan comes in S, R-Line, SE, and SEL trim levels spanning a price range of $25,755 (the bottom line on our tested S, including the $865 destination charge) to $37,285 for a top-line SEL with 4Motion all-wheel drive. While those prices run about $3000 higher across the board than for those of the Honda CR-V – the class sales leader – note that even the base Tiguan S comes standard with such unexpected niceties as alloy wheels, automatic headlights, heated front seats/mirrors/washer nozzles, rain-sensing wipers, rearview camera, keyless access and starting, auto-dimming inside mirror, and Bluetooth cell-phone link, many of which are only offered on competitors’ upper trim levels – if at all. 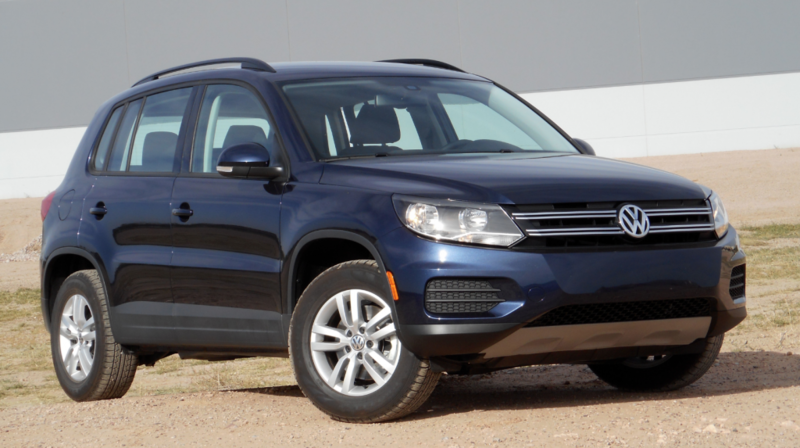 Tiguan’s ride and handling are typical of Volkswagens – which is to say, impressive. It absorbs most bumps with controlled composure and little noise, and it takes corners with a more sporting feel than what might be expected given the ride quality. There’s little body lean in most turns, and in long sweepers, its nose wants to tighten the corner rather than run wide – an unusual and quite attractive quality. Out on the highway, the Tiguan feels very stable, with minimal wind and road noise. With rotary knobs for volume, tuning, and all climate functions — along with large virtual screen buttons — the Tiguan’s control layout is top-notch. 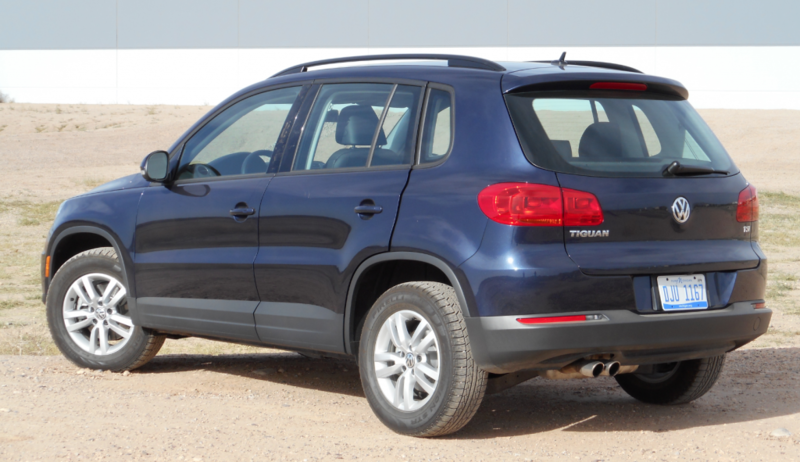 Thanks to its raised ride height and tall body, all but very short folks should find it easy to step into the Tiguan. Even in the base S model tested, the standard seat covering is “leatherette” rather than cloth, essentially vinyl that does a decent job of looking (if not smelling or quite feeling) like leather, and is easier to keep clean than fabric. We found the driver seat very comfortable, in part due to its adjustable lumbar support, a rare feature at this price. While height and fore-aft adjustments are manual, seat-back recline is power. It’s worth noting that the seat raises way up, allowing even shorter drivers a commanding view of the road. Thick padding covers the dashtop and all armrests, with thinner padding on the door tops. Our tester had an all-black interior set off by medium- and dark-grey trim, and while that sounds (and is) somewhat subdued looking, it came off as being almost stately – and much like an Audi, VW’s richer sibling. Passenger room is surprisingly good for what looks like a rather short cabin. There’s plenty of headroom front and rear, and even with a front seat all the way back – and it goes really far back, allowing even tall drivers to stretch out – there was still enough legroom behind it for my 5’9 frame to squeeze in. Tiguan’s control layout is – especially by modern standards – commendably straightforward and easy to use. 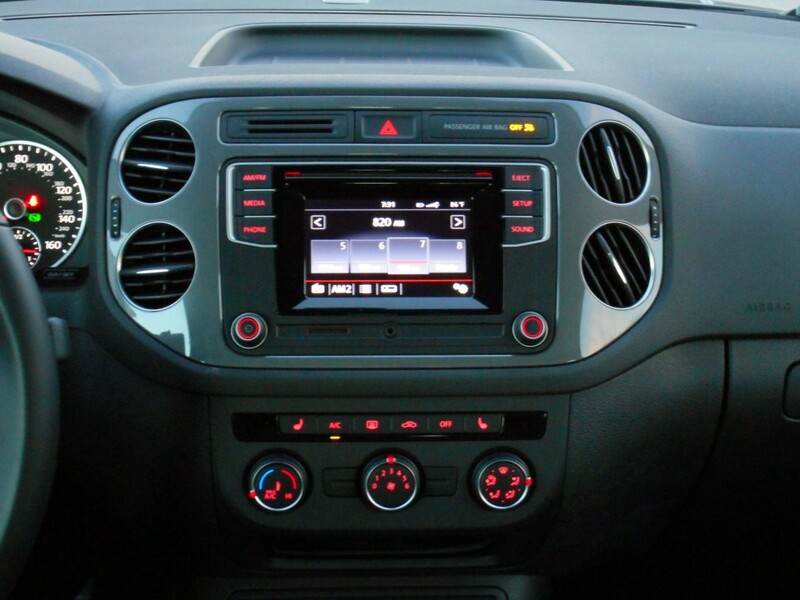 The audio system has volume and tuning knobs, with band and station selection done through the touchscreen, which has unusually large virtual buttons. As expected nowadays, there are duplicate controls on the steering wheel. The climate system is controlled by rotary dials for temperature, fan speed, and mode – the simplest and still the best layout – and the eight circular dash vents can be pointed in almost any direction. Tiguan’s cargo area is rather narrow, but the rear seat backs fold level with the cargo floor, which has a good amount of additional space beneath it. Visibility is just so-so. It’s not bad to the front left, but rather restricted to the front right due to the angle of the roof pillar. Ditto to the sides. It’s also OK to the rear corners, and the standard rearview camera helps when backing, though the dashboard screen is rather small. Interior storage is better than average for the class. 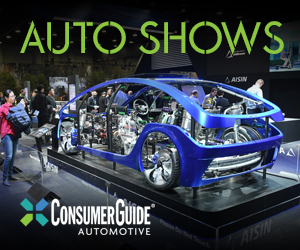 There’s a decent-size glovebox, small but deep console box, two covered console cupholders, a small forward console bin with USB and 12-volt plugs, a lower dash tray, a lower left-side dash bin, and map pockets with cupholders in the doors. 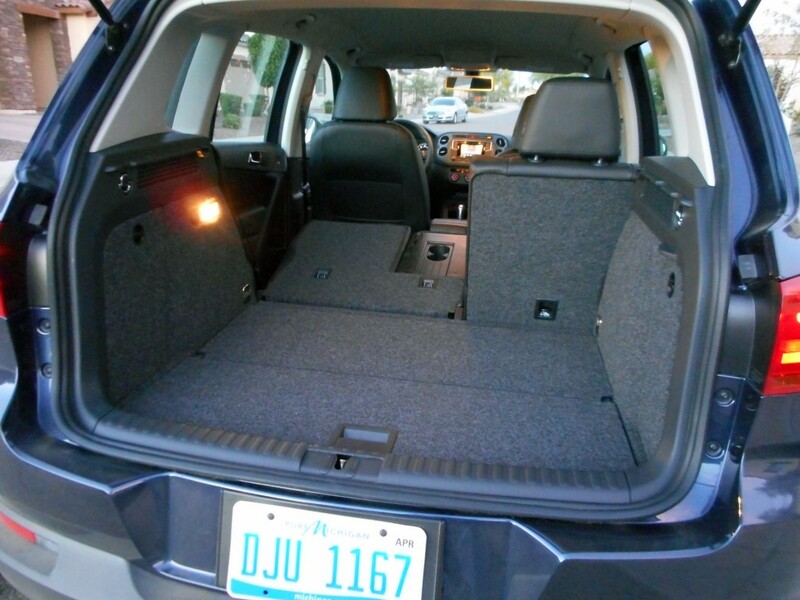 In back, the cargo area is narrow at the rear, but includes tie-down hooks, a 12-volt plug, and a cargo cover, and there’s a decent amount of extra storage space under the floor. The rear seat backs fold level with the cargo floor – making it easy to slide long items forward – but they don’t lay quite flat. Over the past few years, Honda has sold 10+ CR-Vs for every Tiguan that rolls out the door. But VW’s little sport-ute has a lot going for it, including a more sporting attitude than most in the class along with easy-to-use controls, an impressive level of equipment, and an overall “upscale” feel. All of that leaves it straddling the line between “regular” compact SUVs and “premium” ones, which puts Tiguan into a league all its own. Written by: The Daily Drive staff on June 10, 2016.on March 22, 2019.